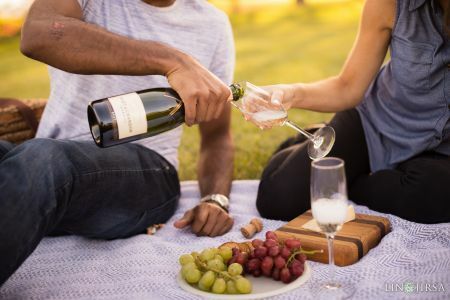 You’ve seen your friend’s adorable and creative engagement photos on her Facebook feed, and you’ve been pinning ideas onto your Pinterest boards. 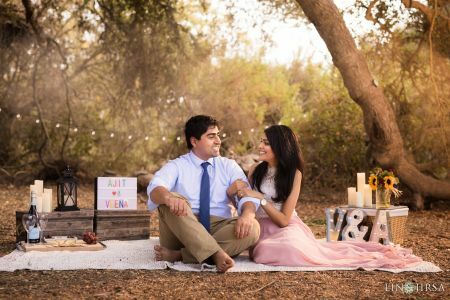 Now it’s time to plan your own engagement photo session, but what props should you use? 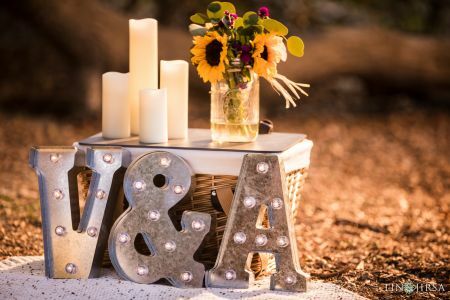 The purpose of bringing props along to your engagement photo session is to personalize your images, to add some visual interest, and to create activity-based photography. Use props to show off your personality as a couple, and your hobbies and talents. 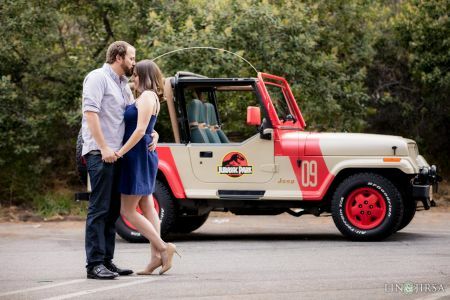 Engagement photo props can add an element of fun and creativity in your images. In selecting props, begin by considering what makes you unique as a couple. Is your fiancé an avid guitar player? Consider bringing his guitar to include in some of the photographs. Do you love to read? Bring along a few books that have unique covers. You should also consider the scene and vibe of your engagement photo session. If your location has a more vintage feel, maybe finding an old suitcase or chair would be appropriate. If it’s in a park, bringing a bike could make for some cute photographs. A popular “prop” is your furry family member. 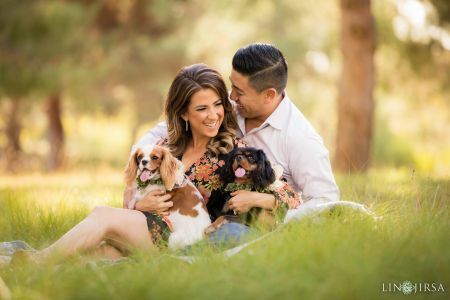 Bringing your dog or cat can make for some adorable family photos. Note, if you do bring your dog or animal, be sure to have a helper that can take the dog or animal home after the first 30 minutes of shooting. 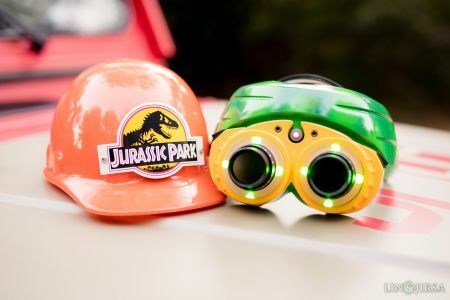 Lastly, it’s important to remember that props for your engagement session are an addition to the shoot. Don’t fret too much about them, as they will only be used for a portion of the session. In fact, if you have too many props, there’s a good chance we won’t end up using all of them. The possibilities are endless. Check out our Pinterest page for more ideas when planning the props you want to bring for your engagement photos.